Heavy-duty, rustproof wiper blade ensures visibility in rain, ice, and snow. 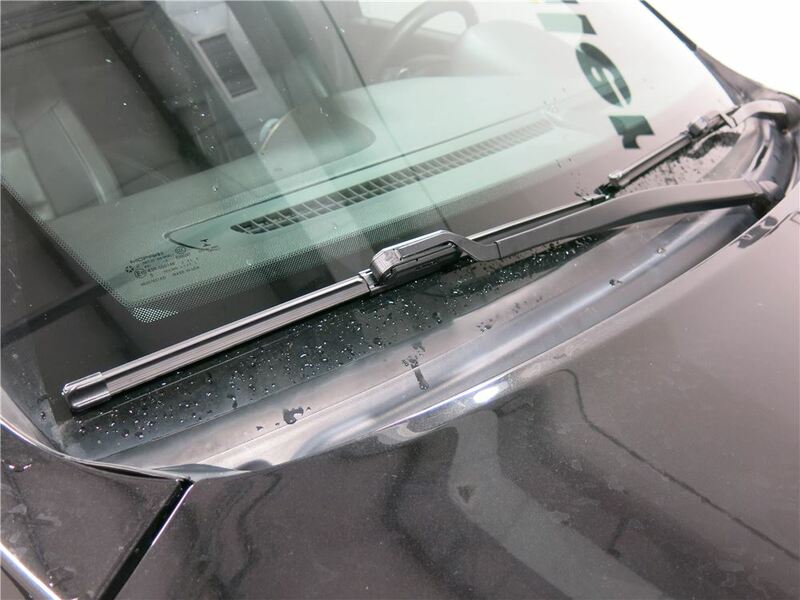 Built-in water-repellent coating treats your windshield with Rain-X as it wipes. Equal pressure applied along the length of the blade delivers clean, streak-free results. 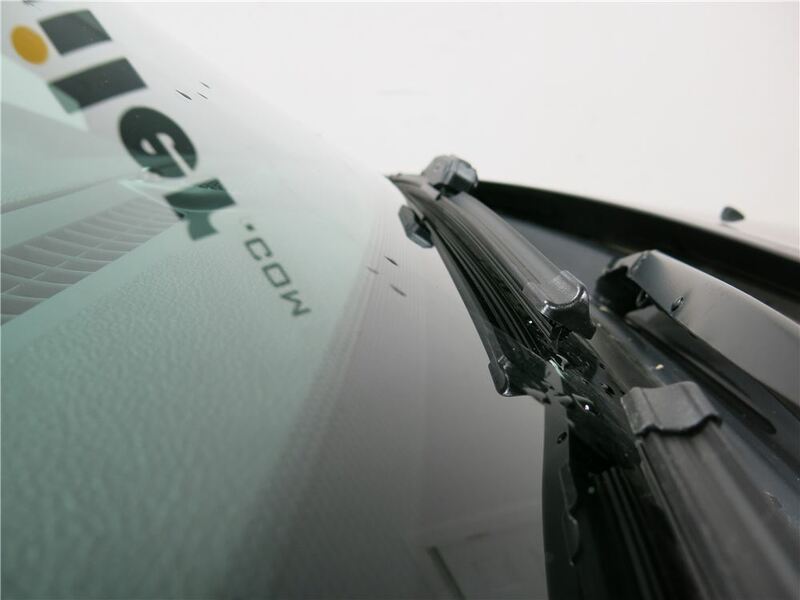 The all-weather Rain-X Latitude wiper blade provides superior visibility in rain, snow, and sleet. This blade has a water-repellent coating that applies Rain-X solution directly to the windshield while you're driving to create a rain shield that lasts for months. The contoured, beam-style frame applies even pressure along the entire length of the blade so that it tightly conforms to your windshield. This helps to ensure a clean, streak-free wipe and uniform wear along the blade. 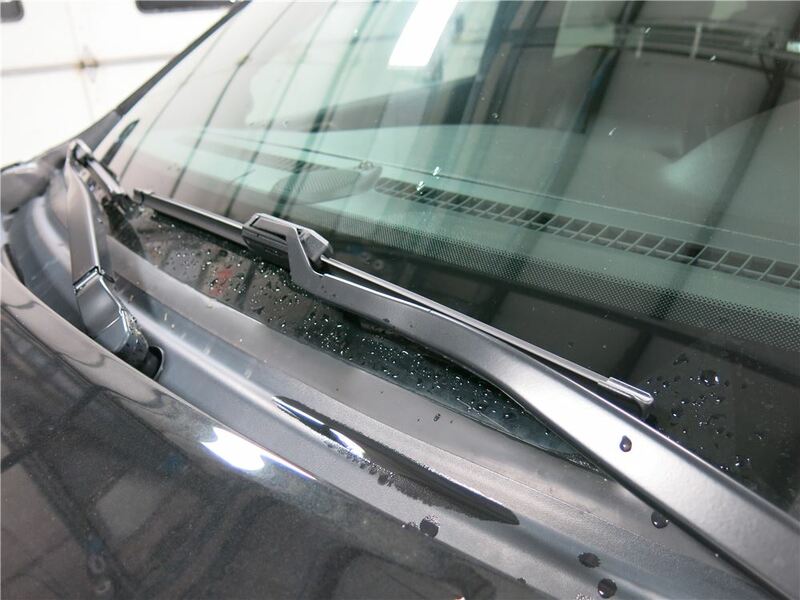 This windshield wiper blade sports a heavy-duty, graphite-coated rubber squeegee that withstands freezing conditions and ensures smooth, noiseless operation. 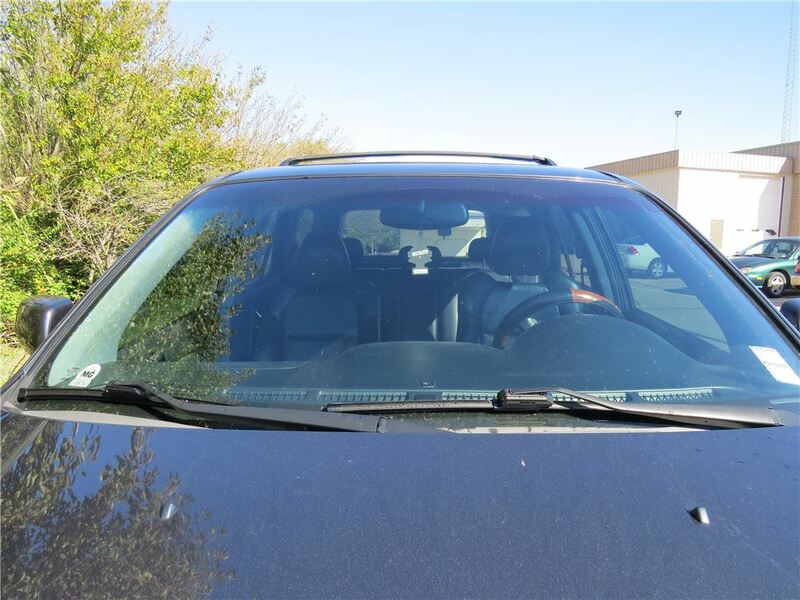 UV inhibitors in the rubber help fight the damaging effects of strong sunlight. The blade's aerodynamic shape combats lift when you are driving at high speeds. 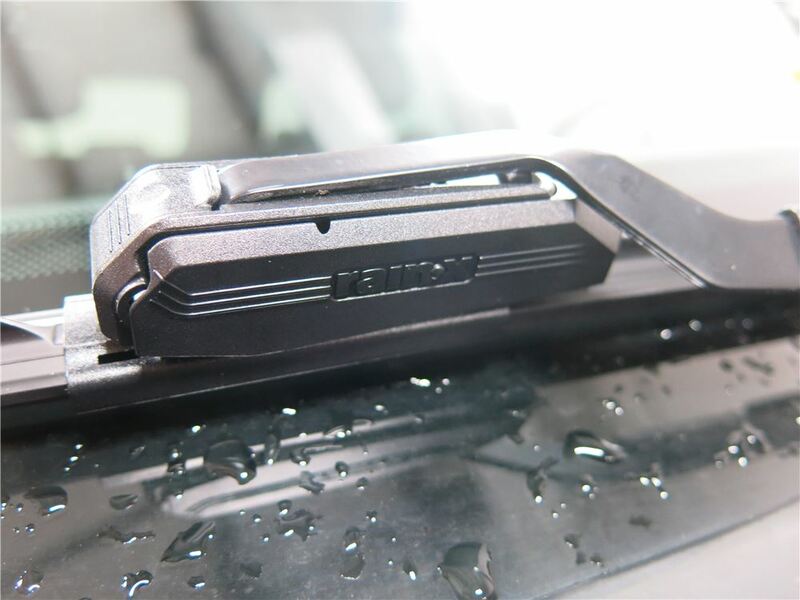 Also, the sleek, closed design and durable rubber casing of this beam-style wiper blade prevent snow and ice buildup, which is a common problem with frame-style blades. 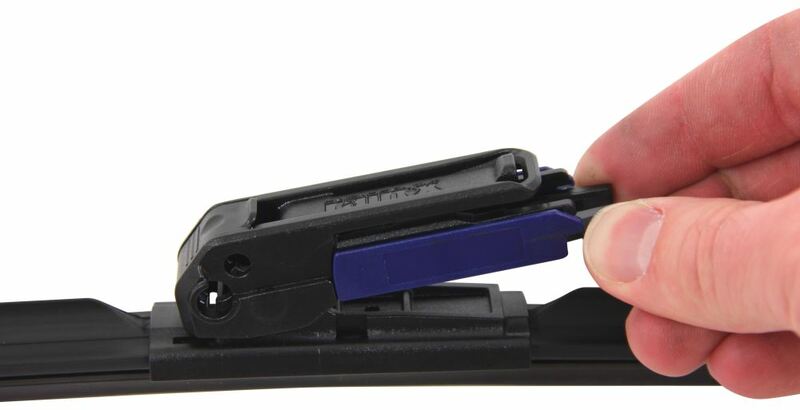 This blade installs quickly and easily with the included hardware. 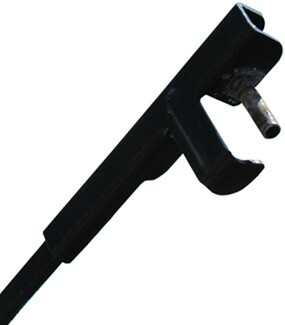 It works with existing J-hook, pin-and-hold (P&H), pin-style, bayonet-style, pinch-tab button (PTB), or insert-and-lock (I&L) connectors on your vehicle's windshield wiper arm. 5079278-2 Rain-X Latitude Water Repellancy Replacement Windscreen Wiper Blade - 21"
5079280-2 Rain-X Latitude Water Repellancy Replacement Windscreen Wiper Blade - 24"
Today we're going to be taking a look at the Rain-X Latitude windshield wiper blades with water repellent coating. 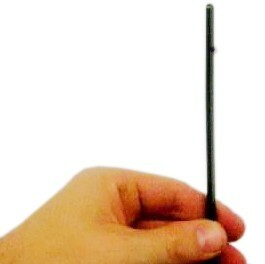 This will work with all lengths of the Latitude windshield wiper blades. The Rain-X Latitude windshield wiper blades are both heavy duty and rust proof, and provide excellent visibility in rain, snow or ice. The blades themselves have a built in water repellent in them, so it actually spreads it across the windshield as you use them. It distributes pressure equally all along the blade, so you'll get clean, streak-free results while it's being used. It has an aerodynamic design, which reduces the wind noise and drag and lift during high speeds. It also has a graphite coated rubber edge, which will also cut down the noise while it's working even in freezing conditions. 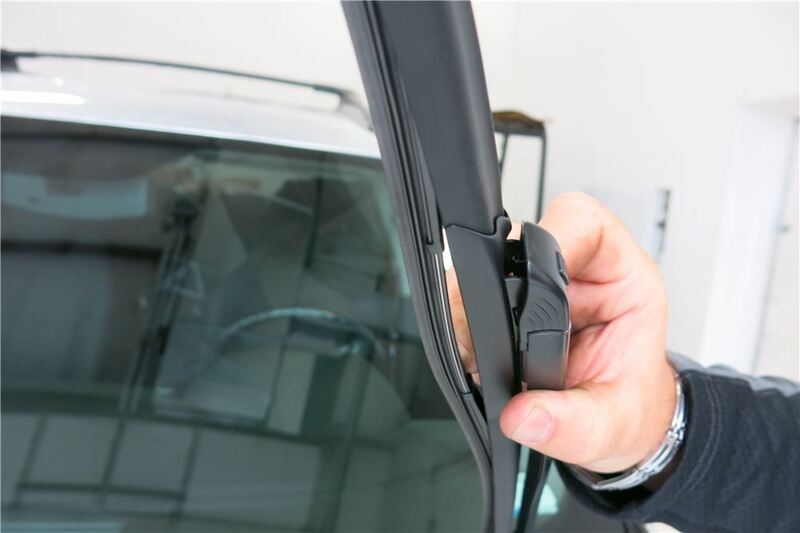 The synthetic blend rubber squeegee delivers a longer lasting wiper performance, meaning you don't have to change these out as often. 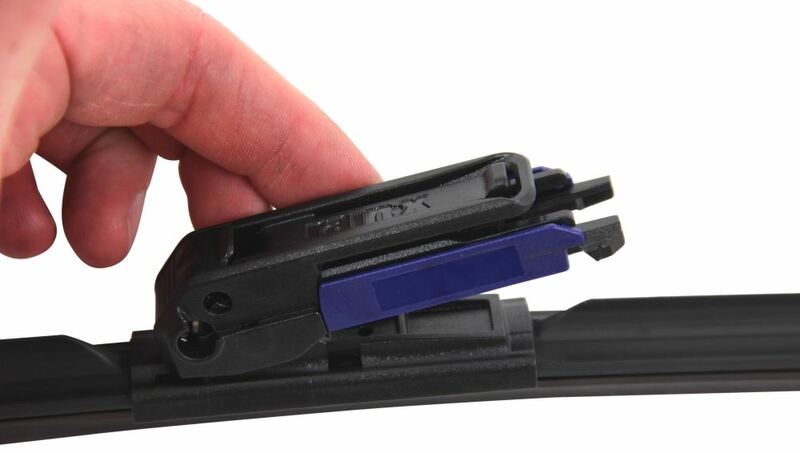 This blade installs quickly and easily with the included hardware, and works with the existing J-hook, pin and hold, pin style, bayonet style, pinch tab button or inserted lock connectors on your vehicle's windshield wiper arm. Now that we've gone over some of the features of the blade, let's go ahead and show you how it installs. This is how it looks when you remove it from the package, but before we do anything to install it onto the vehicle, let's remove the blade from the vehicle and figure out which kind of connection point we're going to be working with today. We'll lift out blade up, pop that open. Now, it looks like we have a J-hook style, so now we know what to do with our actual blade. Now, since this is going to be for a J-hook design, we're going to flip up this little cover here at the top. To help us out, we use a quarter or a dime to pop that top portion open. Then our hook would slide into there as so. Next we'll take our J-hook, feed it in like so, and then close our top. Then we'll remove our yellow piece here and set the wiper down. Then we'll repeat this for our other wiper as well. 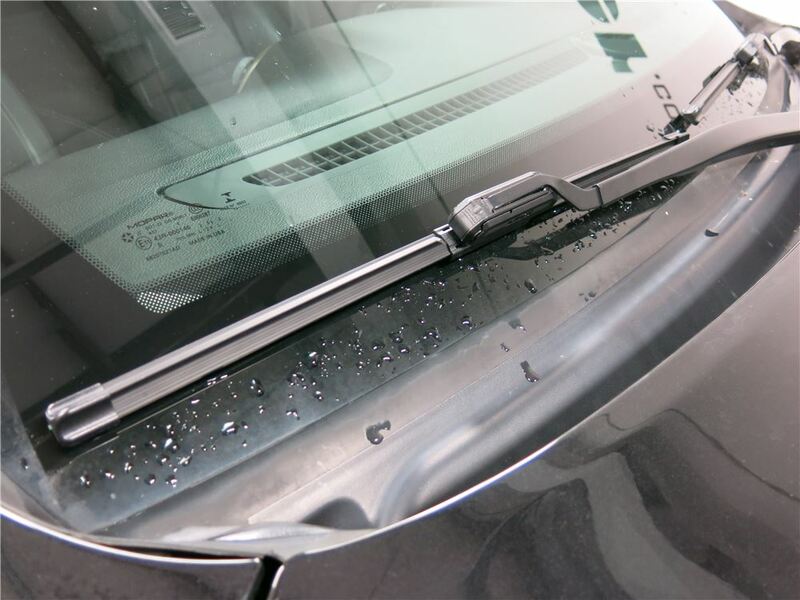 There you have it for the Rain-X Latitude windshield wiper blade with water repellent coating. 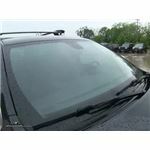 Order: RelevanceNewestRating - High to LowRating - Low to High Heavy-duty, rustproof wiper blade ensures visibility in rain, ice, and snow. 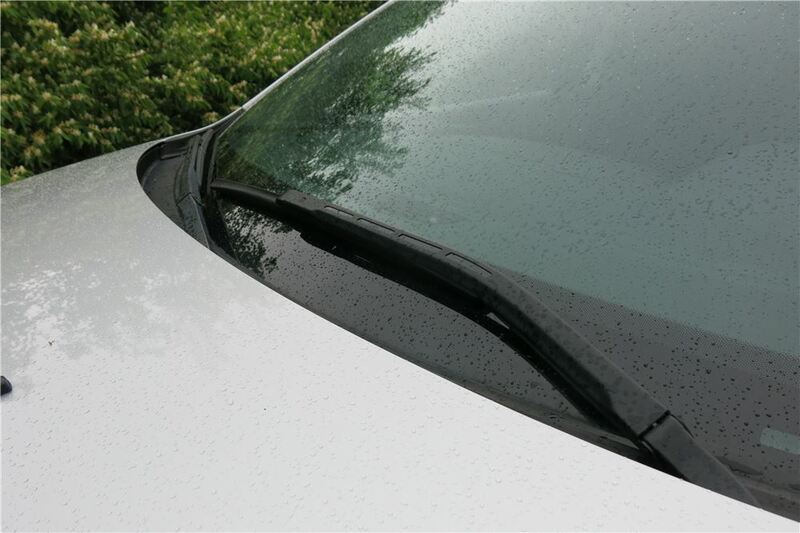 Built-in water-repellent coating treats your windshield with Rain-X as it wipes. Equal pressure applied along the length of the blade delivers clean, streak-free results. 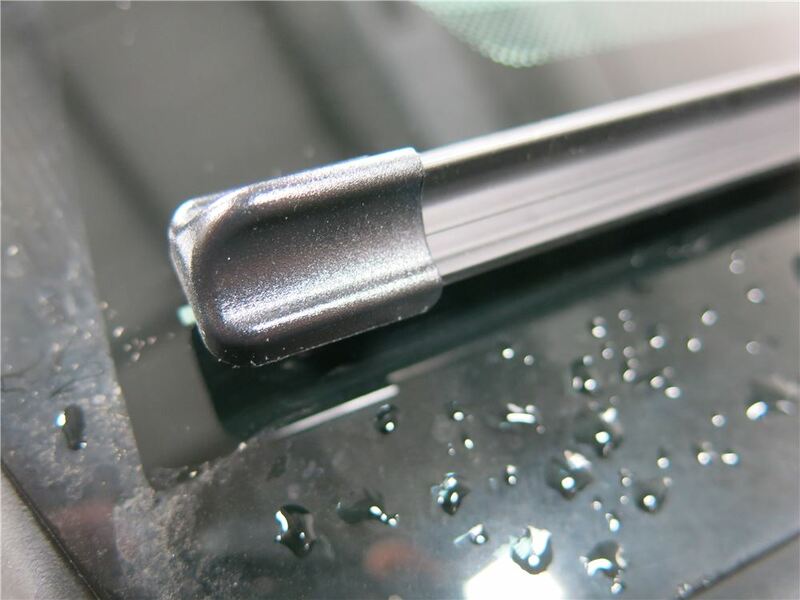 Heavy-duty, rustproof wiper blade ensures visibility in rain, ice, and snow. 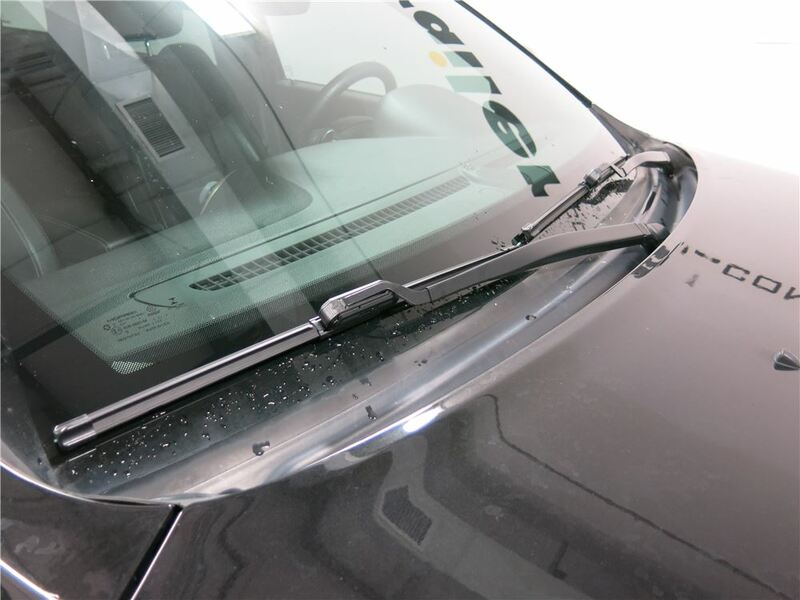 Built-in water-repellent coating treats your windshield with Rain-X as it wipes. Equal pressure applied along the length of the blade delivers clean, streak-free results. I have never had a company follow through a year later. I love the communication. Great way to move up sales without being pushy. Also a great reminder to buy replacement blades. The blades worked great for about 6 months, then they started to do the same as my prior blades. They will not hold to the window and clear the complete viewing area. I thought when this happened before it could have been a combination of windshield and blade issues. However after new windshield and blades, the situation has returned. So not really sure what to do now. Personally I will never own another wiper except Rain-X. They hold up a lot longer than other brands. They have worked fine, although I think it is almost time for a new set! still working excellent. would definitely recommend and would buy again. YEA, I STILL LIKE THEM, I BOUGHT SOME RAIN X SPRAY ON, TO PUT ON, I THINK THAT WILL WORK EVEN BETTER. WILL LET YOU KNOW LATER, ROOSTER. 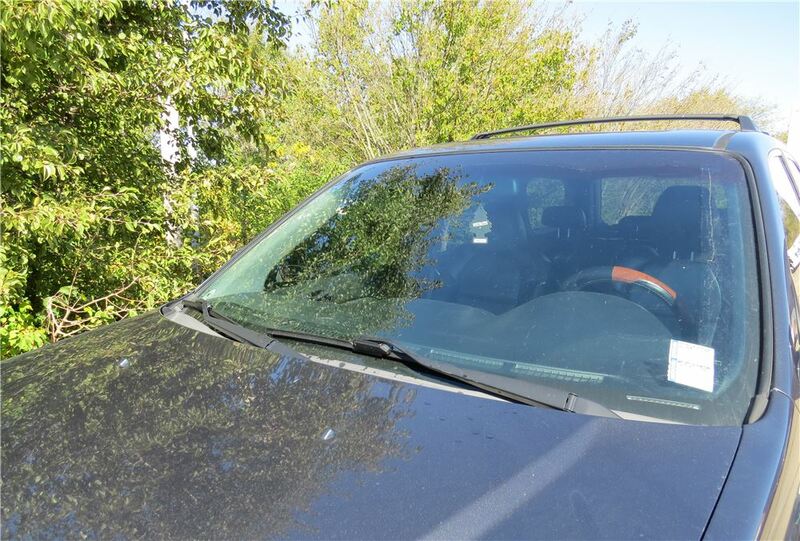 Both wipers continue to do an excellent job of wiping the windsceeen after twelve months use. No need to replace yet. Do you have a question about this ? 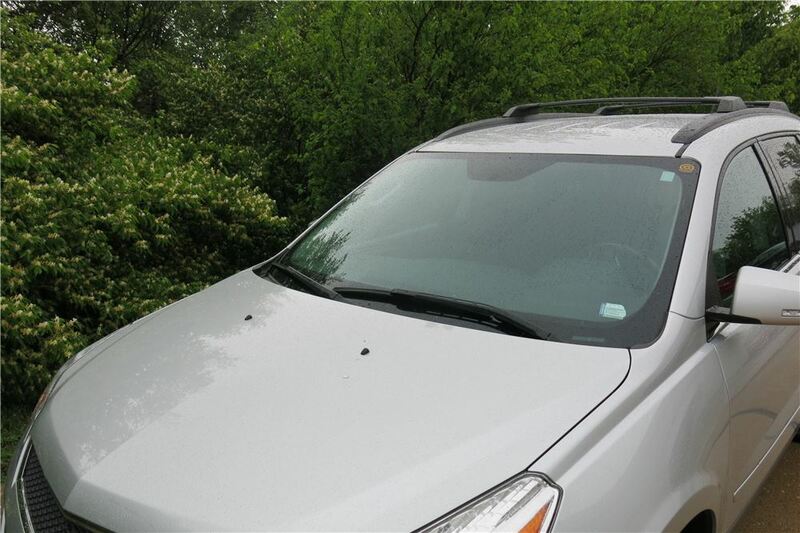 The best windshield wipers we carry for your 2013 Chevy Equinox are the Rain-X Latitude part # RX5079280-2 for the driver's side and part # RX5079283-2 for the passenger's side. 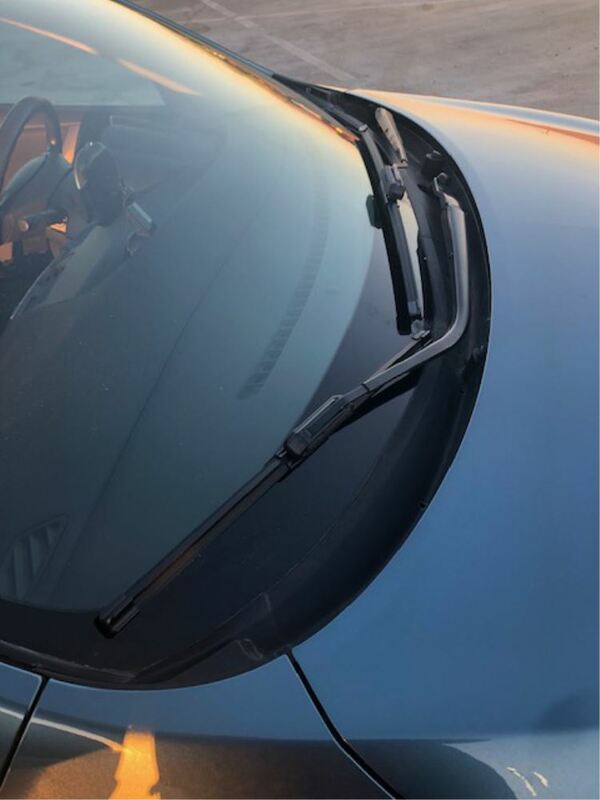 Price is available at the link below, I also attached an install video for these wipers for you to check out as well. 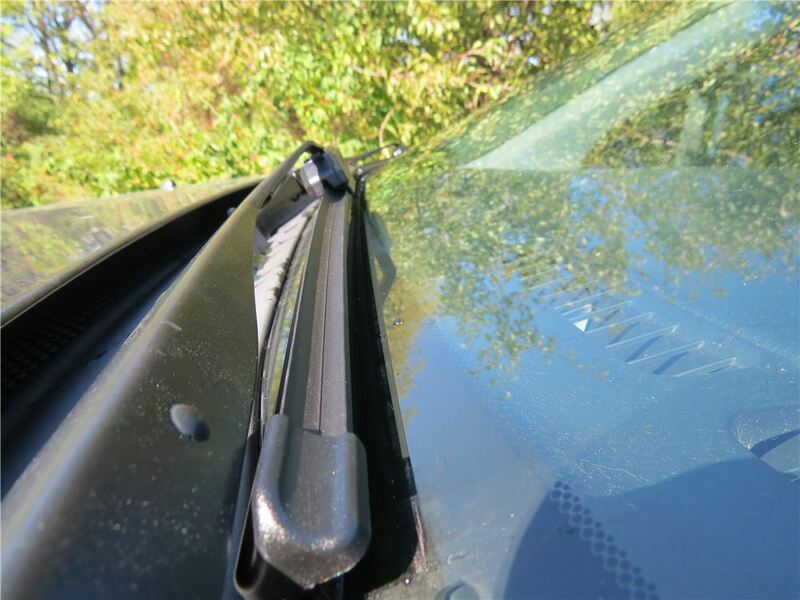 Upgraded aftermarket wiper blades are almost always superior in performance compared to factory blades. 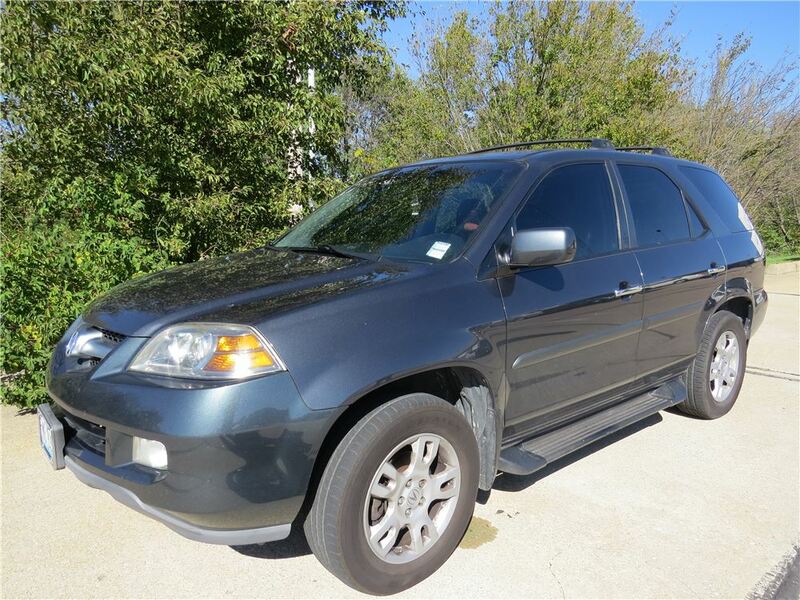 I recommend the Rain-X blades # RX5079280-2 for the driver's side and # RX5079277-2 for the passenger's side. 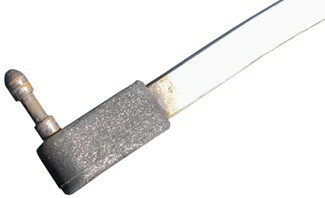 These are beam style blades that apply equal pressure along the blade to reduce or eliminate streaking. Michelin blades are similar in how pressure is applied but the blades are just natural rubber whereas the Rain-X blades are graphite-coated rubber. 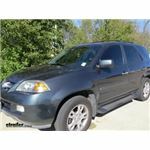 The best wiper we have for your 2012 Nissan Xterra is the Rain-X part number # RX5079280-2 for the driver side and the part # RX5079275-2 for the passenger side. 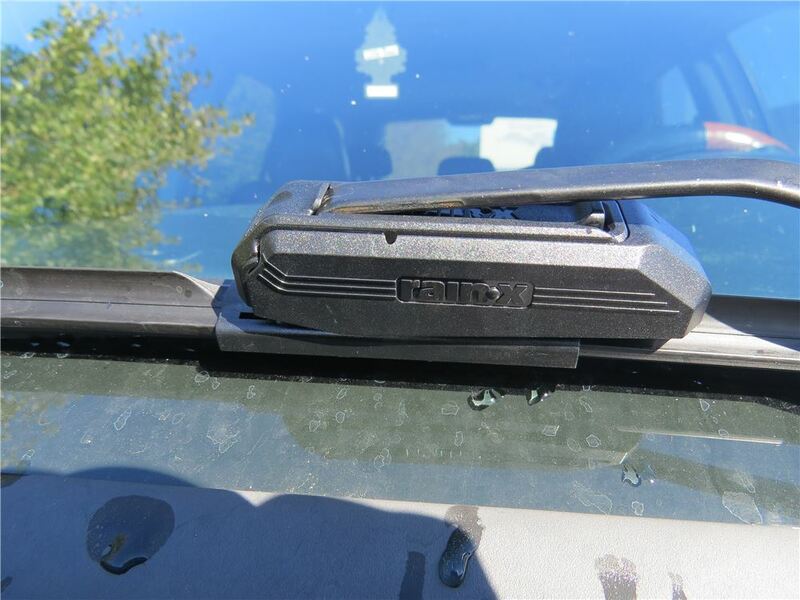 This wiper is a heavy-duty wiper with a graphite covered rubber edge that will work well. I attached an install video for a different brand on a 2012 Xterra just like yours though to show you what the install is like. 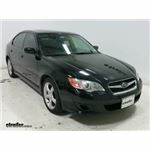 For your 2005 Jaguar S Type we have the Rain X wiper blade part # RX5079280-2 for the driver side and part # RX5079276-2 which is a bit shorter for the passenger side. These are a confirmed fit and will work very well for you vehicle. The adapter on your current blades for the fluid would need to be reused on this. These arrived yesterday and are EXACTLY what I was looking for. Thanks for the excellent service!